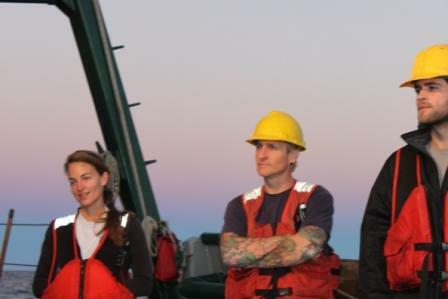 Leslie Schwierzke-Wade is the Chief Scientist for the C-IMAGE expedition. 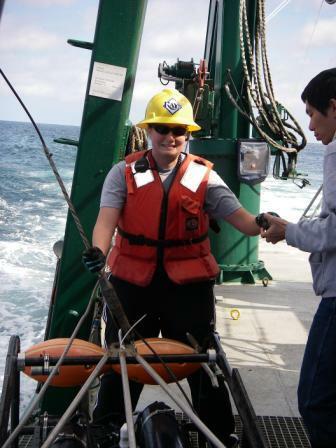 She completed her masters degree at USF Marine Sciences and is now working for C-IMAGE scientist Kendra Daly to lead plankton monitoring research in the Gulf of Mexico. 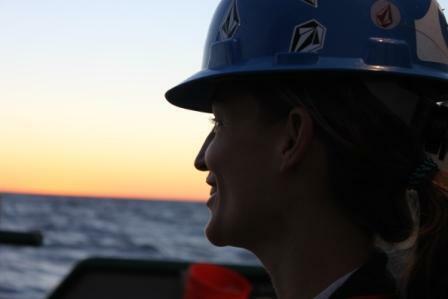 Karen Dreger is a Research Engineer Technician working with C-IMAGE scientist Kendra Daly. 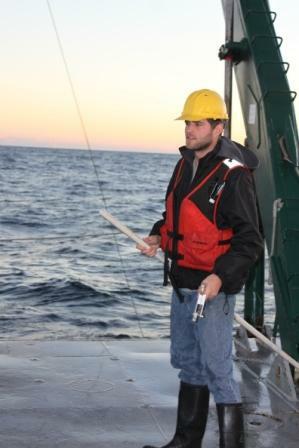 Matt Garrett works for Florida Marine Research Institute (FWC-FMRI) and is a new graduate student at USF Marine Science with C-IMAGE scientist Kendra Daly's lab. 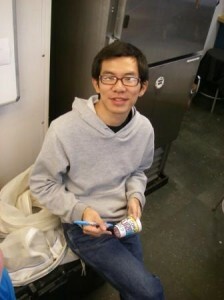 Bo Yang is a USF graduate student working in Dr. Byrne's chemistry lab. 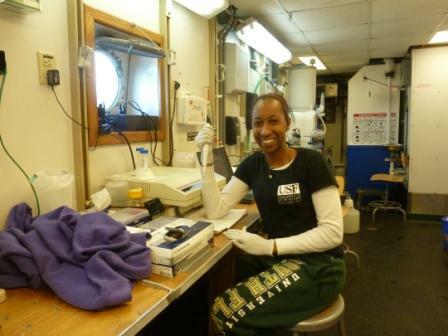 Jonelle Basso is a Research Techician in the microbiology lab of C-IMAGE scientist John Paul. .
Elizabeth Brown is a USF Graduate Student in Dr. Pamela Hallock-Muller's lab. 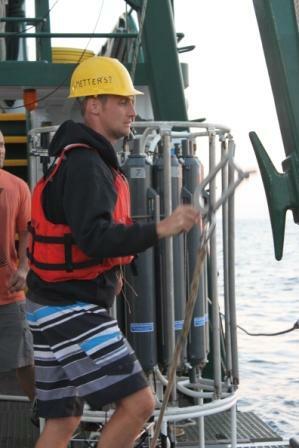 Brian Wells (center) is a FSU Graduate Student working in DEEP-C scientist Dr. Markus Huettel's lab. Lee Russell is an FSU graduate student working in Deep-C scientist Markus Huettel's labratory. Print article This entry was posted by greely on February 10, 2013 at 7:52 pm, and is filed under Oceanic Updates. Follow any responses to this post through RSS 2.0. You can leave a response or trackback from your own site.